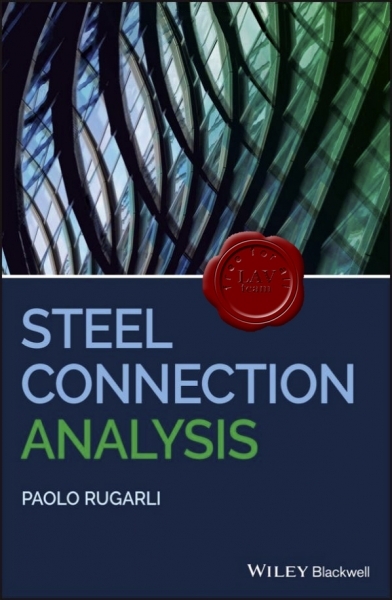 Steel connection analysis and checking is one of the most complex problems in structural engineering, and even though we use very powerful computing tools, it is still generally done using very simplistic approaches. Fromthe point of view of a typical structural engineer, the problem to solve is to design and check nodes, not single connections, i.e. a number of connections between a number of different members – maybe tens or even hundreds of load combinations, inclined member axes, and generic stress states. In a typical 3D structure there may be several tens of such nodes, or maybe even hundreds, which may be similar, or may be different from one another; identifying nodes that are equal is one of the problems that the designer has to face in order to reduce the number of different possible solutions, and in order to get a rational design. However, this problem of detecting equal nodes has not been sufficiently researched, and there are currently no tools that are able to properly solve this issue. If posed with the due generality, the problem of checking 3D nodes of real structures has not been solved by automatic computing tools. Also, because a general method of tackling all these problems is apparently still lacking, usually a few "cooking recipes” have been used to solve a limited number of typical, recurring (2D assimilated) nodes. Indeed, it often happens that true, real world nodes have to be analyzed by such recipes, despite the fact that the basic hypotheses needed to apply these recipes do not always hold true. This poses a serious problem because although these "cooking recipes” have been widely used, in the past few years they have been applied to 3D structures designed using computer tools, in the non-linear range, perhaps in seismic areas, and with the aim of reducing the weight of steel. The effects of such oversimplification have already been seen in many structures where steel connections have failed, especially in seismic areas (e.g. Booth 2014), but even in non-seismic areas (e.g. White et al. 2013, Bruneau et al. 2011). Generally speaking, it is well known that connections are one of the most likely points of weakness of steel structures, one of the most cumbersome to design – indeed one of the least designed – and one of the least software-covered in structural engineering. Pumps and hydraulic equipment are now used in more facets of industry than ever before. Whether you are a pump operator or you encounter pumps and hydraulic systems through your work in another skilled trade, a basic knowledge of the practical features, principles, installation, and maintenance of such systems is essential. You'll find it all here, fully updated with real-world examples and 21st-century applications. Learn to install and service pumps for nearly any application. 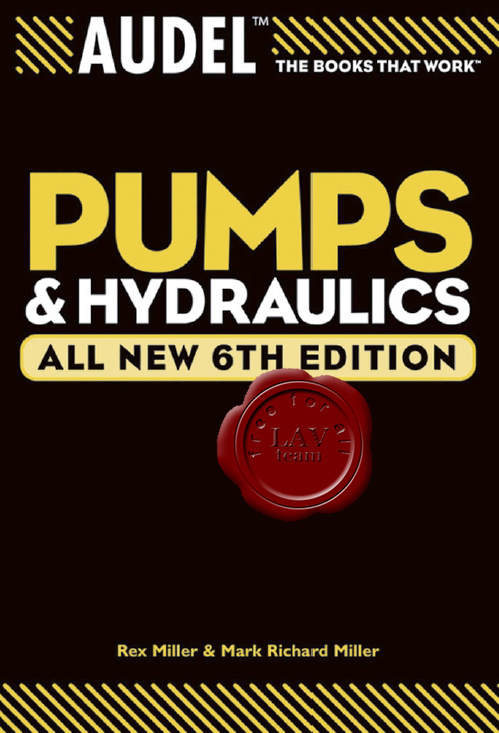 Understand the fundamentals and operating principles of pump controls and hydraulics. Service and maintain individual pumping devices that use smaller motors. See how pumps are used in robotics, taking advantage of hydraulics to lift larger, heavier loads. Handle new types of housings and work with the latest electronic controls. Know the appropriate servicing schedule for different types of pumping equipment. Install and troubleshoot special-service pumps. 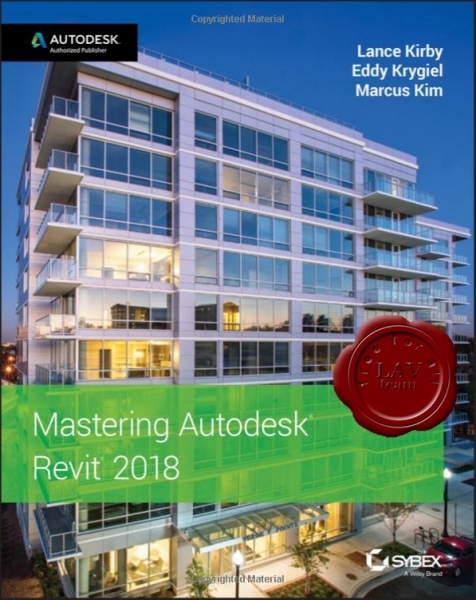 Whether you're preparing for Autodesk certification exams or just want to become more productive with the architectural design software, practical exercises and expert instruction will get you where you need to be. Understand key BIM and Revit concepts and master the Revit interface. Delve into templates, work-sharing, and managing Revit projects. Master modeling and massing, the Family Editor, and visualization techniques. Explore documentation, including annotation, detailing, and complex structures. BIM software has become a mandatory asset in today's architecture field; automated documentation updates reduce errors while saving time and money, and Autodesk's Revit is the industry leader in the BIM software space. Designing for fire is an important and essential requirement in the design process of buildings and civil engineering structures. Within Europe the fire resistance requirements for buildings are specified in the national Building Regulations. All buildings must meet certain functional requirements and these are usually linked to the purpose and height of the building. For the purpose of this publication, the most important requirement is for the building to retain its stability for a reasonable period. This requirement has traditionally been linked to the required time of survival in the standard fire test. The most common method of designing a steel structure for the fire condition is to design the building for the ambient temperature loading condition and then to cover the steel members with proprietary fire protection materials to ensure that a specific temperature is not exceeded. Although this remains the simplest approach for the majority of regular steel framed buildings, one of the drawbacks with this approach is that it is often incorrectly assumed that there is a one to one correspondence between the survival time in the standard fire test and the survival time in a real fire. This is not the case and real fire can be more or less severe than the standard fire test depending on the characteristics of the fire enclosure. The fire parts of the Eurocodes set out a new way of approaching structural fire design. To those more familiar with the very simple prescriptive approach to the design of structures for fire, the new philosophy may appear unduly complex. However, the fire design methodology in the Eurocodes affords the designer much greater flexibility in his approach to the subject. The options available range from a simple consideration of isolated member behaviour subject to a standard fire to a consideration of the physical parameters influencing fire development coupled with an analysis of the entire building. The Eurocode process can be simplified in to three components consisting of the characterisation of the fire model, a consideration of the temperature distribution within the structure and an assessment of the structural response to the fire. Information on thermal actions for temperature analysis is given in EN 1991-1-2 and the method used to calculate the temperature rise of structural steelwork (either protected or unprotected) is found in EN 1993-1-2. The design procedures to establish structural resistance are set out in EN 1993 but the actions (or loads) to be used for the assessment are taken from the relevant parts of EN 1991. This publication follows this sequence of steps. Chapter 2 explains how to calculate the mechanical actions (loads) in the fire situation based on the information given in EN 1990 and EN 1991. Chapter 3 presents the models that may be used to represent the thermal actions. 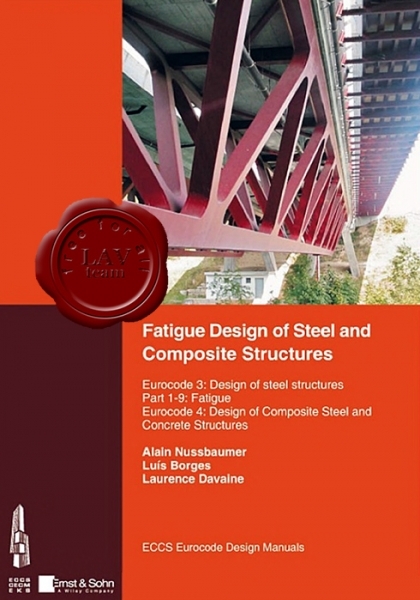 Chapter 4 describes the procedures that may be used to calculate the temperature of the steelwork from the temperature of the compartment and Chapter 5 shows how the information given in EN 1993-1-2 may be used to determine the load bearing capacity of the steel structures. The methods used to evaluate the fire resistance of bolted and welded connections are described in Chapter 7. In all of these chapters the information given in the Eurocodes is presented in a practical and usable manner. Each chapter also contains a set of easy to follow worked examples. 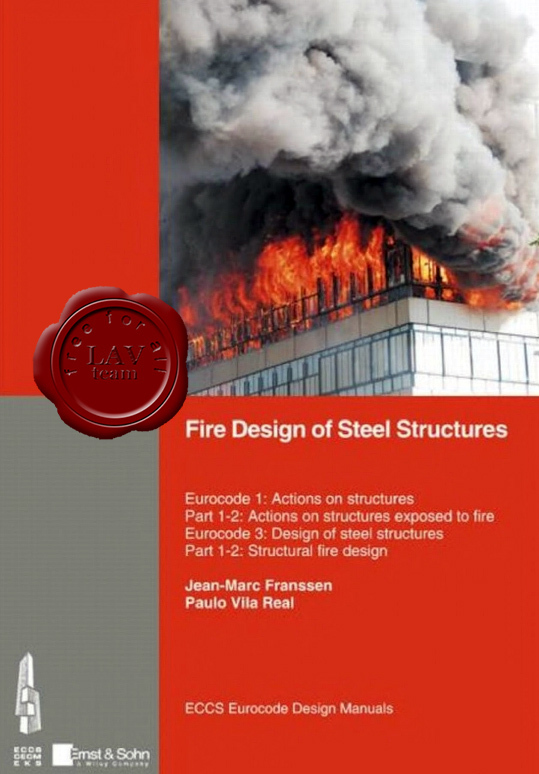 Chapter 8 describes a computer program called ‘Elefir-EN’ which is based on the simple calculation model given in the Eurocode and allows designers to quickly and accurately calculate the performance of steel components in the fire situation. Chapter 9 looks at the issues that a designer may be faced with when assessing the fire resistance of a complete building. This is done via a case study and addresses most of the concepts presented in the earlier chapters. Finally the annexes give basic information on the thermal and mechanical properties for both carbon steel and stainless steel. The concepts and fire engineering procedures given in the Eurocodes may seem complex to those more familiar with the prescriptive approach. This publication sets out the design process in a logical manner giving practical and helpful advice and easy to follow worked examples that will allow designers to exploit the benefits of this new approach to fire design. Unified Theory of Concrete Structures develops an integrated theory that encompasses the various stress states experienced by both RC & PC structures under the various loading conditions of bending, axial load, shear and torsion. Upon synthesis, the new rational theories replace the many empirical formulas currently in use for shear, torsion and membrane stress. The unified theory is divided into six model components: a) the struts-and-ties model, b) the equilibrium (plasticity) truss model, c) the Bernoulli compatibility truss model, d) the Mohr compatibility truss model, e) the softened truss model, and f) the softened membrane model. Hsu presents the six models as rational tools for the solution of the four basic types of stress, focusing on the significance of their intrinsic consistencies and their inter-relationships. Because of its inherent rationality, this unified theory of reinforced concrete can serve as the basis for the formulation of a universal and international design code. Includes an appendix and accompanying website hosting the authors’ finite element program SCS along with instructions and examples. Offers comprehensive coverage of content ranging from fundamentals of flexure, shear and torsion all the way to non-linear finite element analysis and design of wall-type structures under earthquake loading. Authored by world-leading experts on torsion and shear. This book introduces the design concept of Eurocode 3 for steel structures in building construction, and their practical application. Following a discussion of the basis of design, including the limit state approach, the material standards and their use are detailed. The fundamentals of structural analysis and modeling are presented, followed by the design criteria and approaches for various types of structural members. The following chapters expand on the principles and applications of elastic and plastic design, each exemplified by the step-by-step design calculation of a braced steel-framed building and an industrial building, respectively. Besides providing the necessary theoretical concepts for a good understanding, this manual intends to be a supporting tool for the use of practicing engineers. In order of this purpose, throughout the book, numerous worked examples are provided, concerning the analysis of steel structures and the design of elements under several types of actions. These examples will provide for a smooth transition from earlier national codes to the Eurocode. 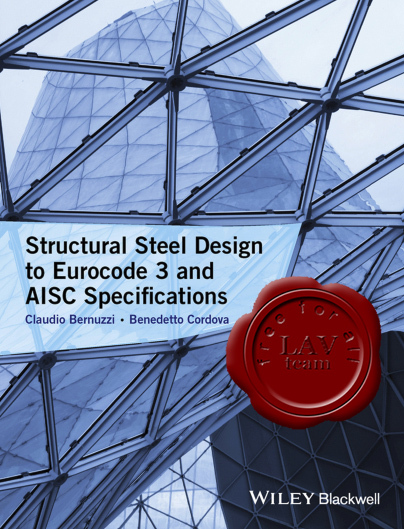 Structural Steel Design to Eurocode 3 and AISC Specifications deals with the theory and practical applications of structural steel design in Europe and the USA. 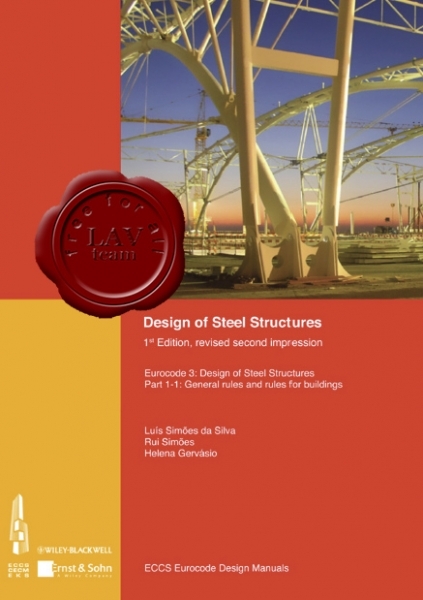 The book covers appropriate theoretical and background information, followed by a more design‐oriented coverage focusing on European and United States specifications and practices, allowing the reader to directly compare the approaches and results of both codes. Chapters follow a general plan, covering: A general section covering the relevant topics for the chapter, based on classical theory and recent research developments A detailed section covering design and detailing to Eurocode 3 specification A detailed section covering design and detailing to AISC specifications Fully worked examples are using both codes are presented. With construction companies working in increasingly international environments, engineers are more and more likely to encounter both codes. Written for design engineers and students of civil and structural engineering, this book will help both groups to become conversant with both code systems. 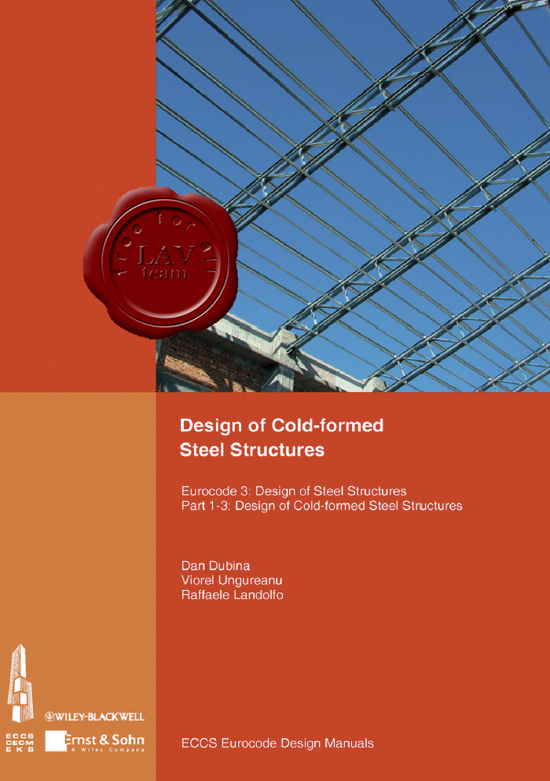 Following pioneering research in the 1940s, research into cold-formed steel intensified in the 1970s and led to numerous national European design specifications, and subsequently the preparation of Part 1-3 of Eurocode3 (EN1993-1-3) for cold-formed steel structures. Now a Euronorm, EN1993-1-3 is fully embedded in the Eurocode framework. This book serves as a reference text for design engineers using EN1993-1-3. It forms part of the suite of ECCS Eurocode Design Manuals prepared in recent years for other parts of EN1993 and other Eurocodes to aid the implementation of Eurocodes in European states. The book draws on the authors’ considerable experience with designing cold-formed steel structures, both as academics and practitioners, and strikes a balance between theory and practice. Applications of cold-formed steel have broadened over the years. Coldformed steel is now used as primary structural elements, as in steel framed residential buildings, steel storage racks, portal frames, and tubular truss and frame structures, and as secondary structural elements, as in roofing and wall systems featuring purlins, girts and corrugated steel sheeting. Additionally, integrated building systems have been developed, such as cassettes, as have stressed skin principles for designing the building envelope. The design of cold-formed steel is perceived to be challenging by many structural engineers because the thinness of the steel leads to buckling and failure modes not found in the design of hot-rolled and fabricated steel structures. Furthermore, roll-forming techniques have developed rapidly in recent decades and spawned highly optimised cross sections featuring intermediate stiffeners and complex lip stiffeners, which are not easily designed using conventional methods. 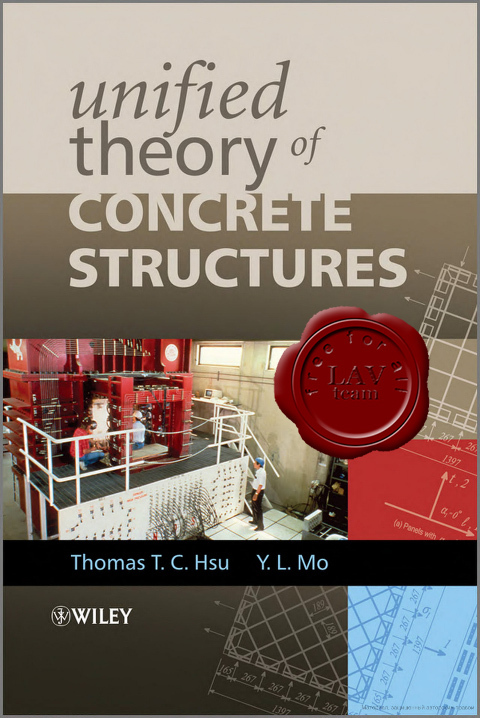 The book covers the design of structural members of complex shapes and connections as well as the design of integrated structural solutions, such as cassettes, and design using stressed skin principles. The structural behaviour and design to EN1993-1-3 are explained and numerous worked examples are included to guide or enable a cross-check for structural design engineers. The final Chapter 8 deserves a special mention as it addresses the comprehensive range of considerations other than structural to be made in cold-formed steel construction, including thermal transmission and sound, serviceability, durability, sustainability and recyclability. Methods of design for single and multi-storey housing are explained in detail, concluding with a comprehensive worked example of a residential building. 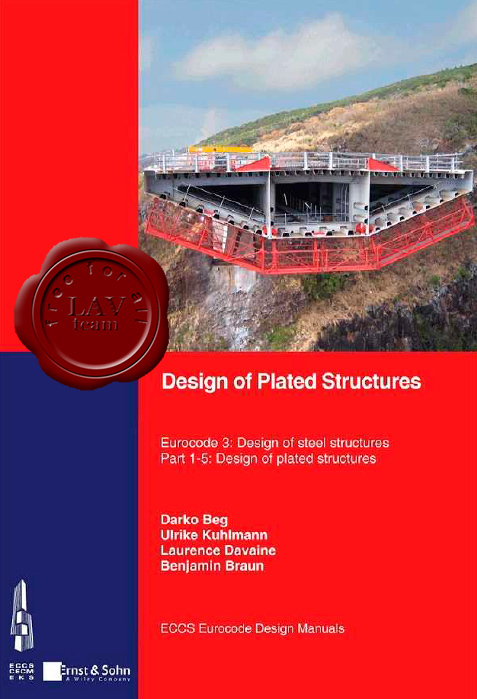 This book presents a landmark in the development of guidelines for the structural design of cold-formed steel. It is arguably the most extensive reference available for designing cold-formed steel structures to EN1993-1-3, and will serve the structural engineering community well in adapting to the expanding range of residential and industrial applications of cold-formed steel.